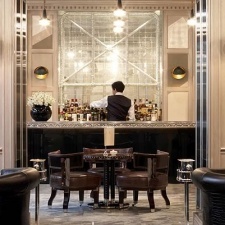 Inspired by English Cubist and Irish 1920s art, Mayfair’s Connaught Bar offers visitors a chic and stylish setting to enjoy some of the finest traditional cocktails alongside innovative counterparts. A fantastic, traditionally chic hotel, when visiting or dining be sure to book ahead as it's strictly table service. How else could they lavish you with their wonderful service? The views from this riverside tower are breath-taking; Altitude London offers a natural high.